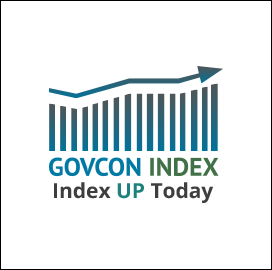 The Executive Mosaic GovCon Index (GCI) reversed it’s previous two slide to break through 98.00 to close at a new high of 98.178. Advancers outpaced decliners 5 to 1. All the major indices closed positive on the day with the S&P500 and NASDAQ Composite setting new record highs. Stocks were boosted by strong earnings reports and the continued strength in technology sector. Crude oil was up for the second consecutive day with WTI on the NY Mercantile Exchange posting a new 30 day high of $47.13 per barrel up 1.57 percent at market closing. The markets responded to reports that U.S. stockpiles of crude oil and gasoline continue to drop.